Palliative Care Consultants of Santa Barbara (PCCSB) is a physician owned provider group that provides hospital, hospice, and outpatient based palliative care physician services to residents of the Santa Barbara County South Coast. Formed as a physician partnership in 2003, PCCSB has successfully led the creation of three successful, sustained community collaborations to meet the needs of the chronically ill and dying residents of the Santa Barbara Community. Through its partnerships with Cottage Health System, Visiting Nurse and Hospice Care, Hospice of Santa Barbara, the St. Francis Foundation, and the Cancer Center of Santa Barbara PCCSB serves approximately 3,000 of the sickest patients in the community. Additionally, the PCCSB physician owners also maintain three private practices in primary care Internal Medicine where they serve an additional 3000 community members, most of whom are seniors. Dr. Bordofsky practices Internal Medicine in Santa Barbara. He is Board Certified in Internal Medicine as well as Hospice and Palliative Medicine. He has been a Medical Director for Visiting Nurse & Hospice since 1995 and helped create the very successful Palliative Care Consultation Service at Cottage Hospital. He has been honored for his teaching and is the managing partner for Palliative Care Consultants of Santa Barbara, a medical group that provides consultation, education, and clinical services in hospital, hospice, and community settings. Michael Kearney, MD, has spent over thirty years working as a physician in end-of-life care. He trained and worked at St. Christopher’s Hospice in London with Dame Cicely Saunders, the founder of the modern hospice movement, and subsequently worked for many years as medical director of Our Lady’s Hospice in Dublin, and later with Professor Balfour Mount at McGill University in Montreal. He is currently a medical director of the Palliative Care Consultation Service at Santa Barbara Cottage Hospital and an associate medical director at Visiting Nurse and Hospice Care, also in Santa Barbara. He teaches nationally and internationally and is the author of two popular books in the field Ð Mortally Wounded and A Place of Healing. Dr. Natasha Marston is Board Certified in Family Medicine as well as Hospice and Palliative Medicine. 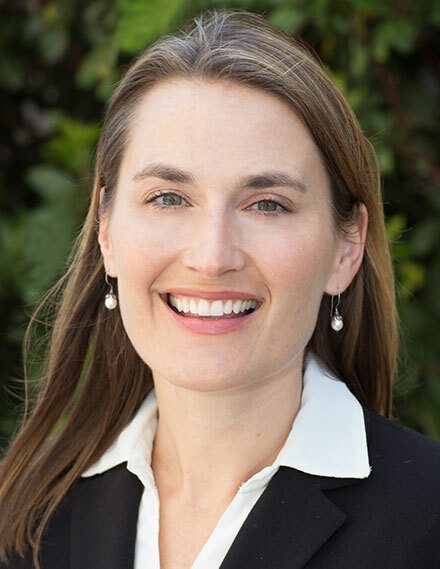 After medical school at UCLA and eventually a Palliative Medicine Fellowship with the Cedars-Sinai-West Los Angeles VA program, she has been enjoying her work as an Associate Medical Director for Visiting Nurse and Hospice Care of Santa Barbara and Serenity House since 2012. In addition to this role she enjoys the important work of raising her young son and nurturing her family and community. Dr. Eric Trautwein practices Internal Medicine in Santa Barbara. In addition to this, he serves as one the associate medical directors of the Palliative Care Consultation Service at Santa Barbara Cottage Hospital, and is an associate medical director for the Visiting Nurse and Hospice Care of Santa Barbara. He frequently serves as a clinical instructor with the Internal Medicine residency program at Santa Barbara Cottage Hospital. He is married to a fellow physician and together they share the happy task of raising two young daughters.